l Black Bean & Corn Salsa-16 oz. 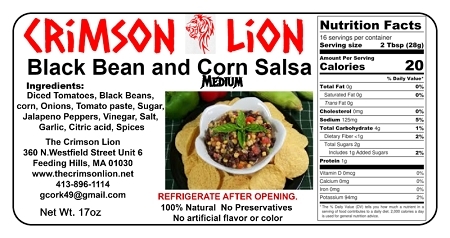 Home > Shopping Store > Specialty Salsa Shopping Cart > Black Bean & Corn Salsa-16 oz. Similar to the Black bean with the addition of corn. If you like this combination you will love this product as well. Some customers feel with both the black bean and corn combination they getting the best of two worlds. This is a top seller. You have both the black bean and corn in one jar and that means d-e-l-i-c-i-o-us.